Ziauddin University has always played a leadership role in accepting and adapting best practices in the field of Education. 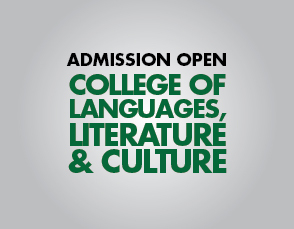 Quality Enhancement Cell (QEC) of Ziauddin University has the commitment to ensure that educational provision of all the constituent institutions of the university are operating with the appropriate academic standard as provided by the respective accrediting bodies and are taking a deliberate step to bring about continual improvement in learning experiences of the student. QEC has developed a culture which recognized the importance of quality and quality assurance in approval, monitoring and periodic review of academic Programmes. Assessment of students, quality assurance of teaching staff, learning resources, student support and information to the stakeholders. Review of the academic program is carried out by adopting consistency of procedures for the self- assessment system. Student course evaluation, teacher’s evaluation, graduating student survey, alumni survey and employee‘s survey are the important tools which are used for this purpose. An explicit follow-up procedure is in place to review the action taken by each program. In the latest quantitative assessment carried out by the Quality Assurance Agency of HEC in 2014, QEC of Ziauddin University obtained a score of 85% and was ranked in “W’ category. Annual monitoring and evaluations including program and faculty monitoring and student’s perception. 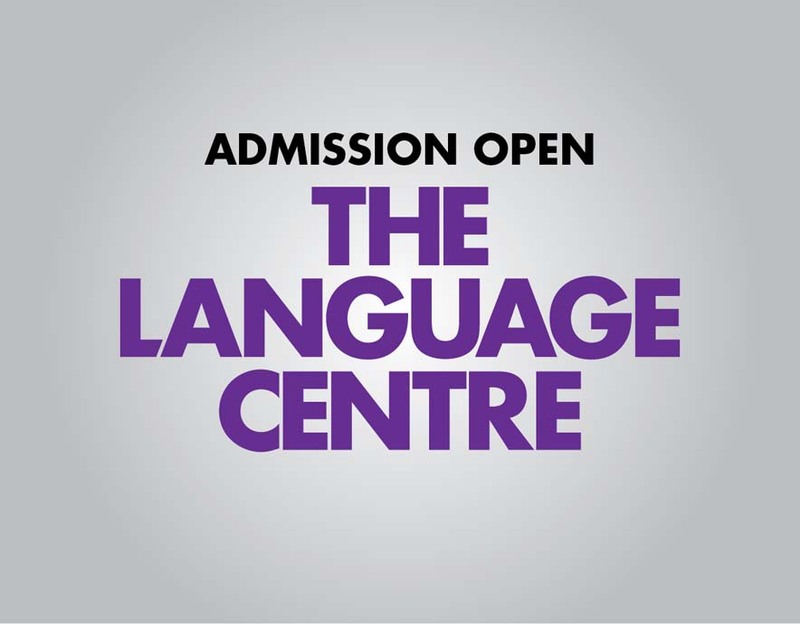 Self Assessment – a support or deterrent for newly introduced academic Programmes. 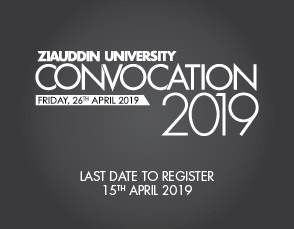 Ziauddin University has always been in the forefront for accepting and adapting best practices in the field of education. Recognizing the role that it has to play in higher education sector, Ziauddin University has established a Quality Enhancement Cell. This cell has the responsibility to ensure that the university’s quality assurance procedures are compatible with international standards and are designed to improve the quality of higher education. Quality Enhancement Cell of Ziauddin University is mandated by Quality Assurance Agency of HEC to carry out an evaluation of its academic Programmes. This is carried out in the form of generation of Self Assessment Report (SAR) by the respective Programmes. 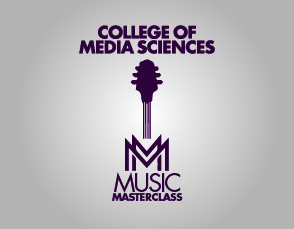 Discuss the mission statements of the Departments and Programmes. Facilitate in forming the Program objectives and strategic plans to achieve them. Introduce and circulate the different survey forms for Self Assessment. 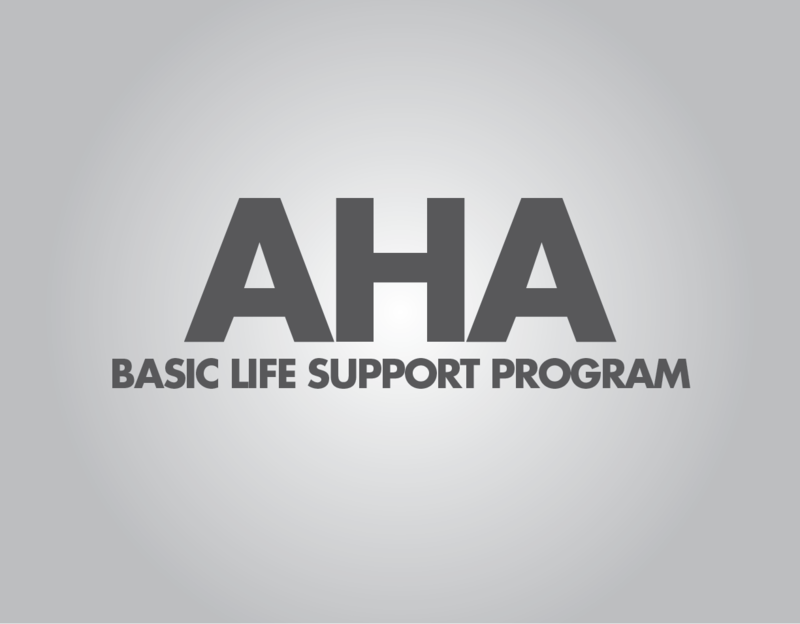 Discuss the outcomes of each program and its alignment with the objectives. After a brief introduction about Quality Enhancement procedures laid down by QAA of HEC and its importance, the QEC team with the help of examples assisted the program teams in developing the Vision, Mission and Objectives of their program. Each Program team discussed their Mission statements and received feedback from other participants and QEC team. This was followed by facilitation by the QEC team in developing the objectives and outcomes of their respective Programmes. It was decided that meetings with the PTs will be held fortnightly as the Criterions and Standards are being completed step by step. Notification for program evaluation of BS in Communication and Media Studies was made. Weekly meetings with the PTs are held to expedite the report writing process. Evaluation proformas circulated, filled and submitted. Nomination of Assessment Teams done. Mr. Hakima Shah, Director, Institute of Nursing, Dow University of Health Sciences, Karachi. Ms. Almas Chapsi, Principal, Institute of Nursing, National Medical Centre, Karachi. 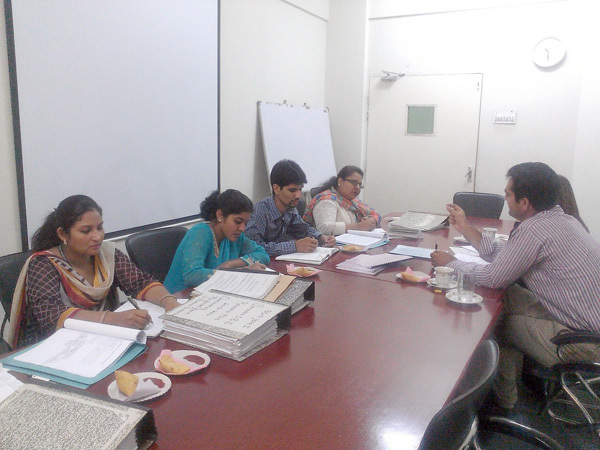 A New phase of Self Assessment of academic Programmes started in Aug.2014. All the members of the three program teams were invited and briefed about the nuances of preparing Self Assessment Report. A presentation was made by the Director QEC and the team members were facilitated in writing Mission statements and objectives of their respective Programmes. In order to keep a follow up on the writing of Self Assessment Reports, a second meeting of the program teams was organized at Director’s QEC office. Members from all the teams attended the meeting and discussed about the problems they are facing in writing SARs. They were guided and all support was provided by the QEC in completing their tasks. Ziauddin College of Physical Therapy in collaboration with the Quality Enhancement Cell of ZU organized a three days workshop titled “Faculty Professional Development” on 6th, 9th and 10th of June 2014. This workshop was aimed at helping the faculty members in improving their teaching, assessment and research skills. 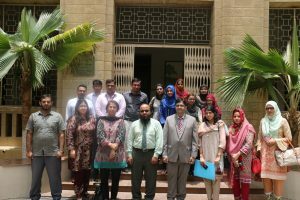 Ms Ms. Amna Khan, Associate Professor ZCPT guided the faculty in improving literature search andresearch writing skills. Dr. Arshia Samin Director QEC introduced the concept of Problem Based Learning, discussed the roles and responsibilities of different members of a PBL group and helped the faculty in developing Problem Based learning scenarios for Physical therapy Programmes. Last day of the workshop was dedicated to improving written assessment tools. All the faculty members took the keen interest in the workshop and contributed actively to the discussions and deliberations. They appreciated such faculty development initiatives and requested for more teaching learning related workshops/ seminars in future. On the last day of the workshop certificates of participation were distributed among the faculty members. On November 15th 2017, a seminar was organized by Institute of Business Administration IBA, on “Identification and prioritization of critical issues in promoting the Quality Culture in HEIs”. Ms. Zareen Hussain Deputy Director QEC represented ZU. Seminar on “Six Sigma in Higher Education” was organized by Institute of Business Management IoBM on 21st November, 2017. Purpose of this seminar was to give awareness as how six sigma techniques can be implemented in HEIs to enhance quality of education. Ms. Zareen Hussain, Deputy Director and Ms. Sadaf Data Analyst, QEC participated in the seminar. 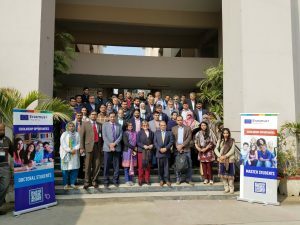 “Erasmus+Workshop-SSUET”, Karachi was organized by Higher Education Commission in Sir Syed University of Engineering and Technology on December 18, 2017. Ms. Zareen Hussain Deputy Director QEC attended the workshop. The objective of this workshop was to inform HEIs about Erasmus scholarships procedure. 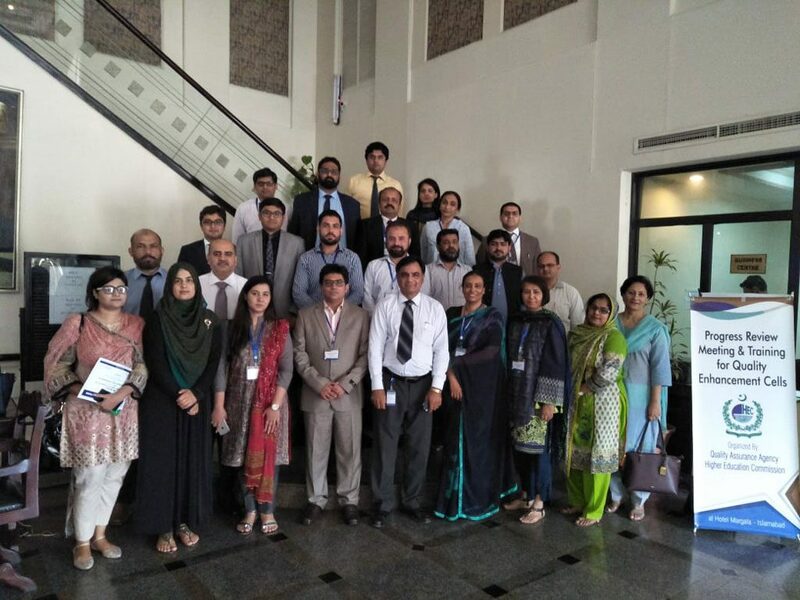 Arshia Samin Director and Ms. Zareen Hussain Deputy Director, QEC successfully completed 2 days training on Educational Organization Management Systems (EOMS) Professional, Based on ISO 21001 and Lean Daily Management Systems, organized by Impact Performance Solutions (US) & Quality Systems International (QSI) at Hotel Mehran, Karachi on 6-7 April, 2018. The Quality Assurance Agency of Higher Education Commission organized a 02 days activity for the Directors of QECs on 18- 19thApril, 2018 at Margala Hotel, Islamabad. 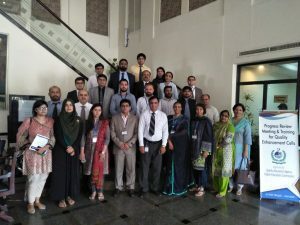 This activity was aimed to strengthen the Quality Assurance System in Pakistani Degree awarding institutions through Internal Quality Assurance Mechanism and External Quality Assurance Mechanism. Dr Arshia Samin Naqvi, Director QEC represented Ziauddin University. Meeting comprised of presentations of each university’s internal quality assurance practices by the QEC heads. Presentation of Ziauddin University was rated best and applauded because all the programs of ZU are accredited by the respective accrediting bodies. 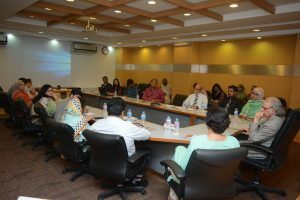 Dow university of Health Sciences arranged guest speaker session on “Adaptation and Implementation of HEC plagiarism Policy at HEIs” on June 25, 2018. Ms. Zareen Hussain Deputy Director and Ms. Sadaf Memon Data Analyst attended the session. Session was intended to highlight the importance of turnitin and define various forms in which Plagiarism exhibits itself. The Quality Assurance Agency of Higher Education Commission organized a 02 days activity for the Directors of QECs on 18- 19th April, 2018 at Margala Hotel, Islamabad. 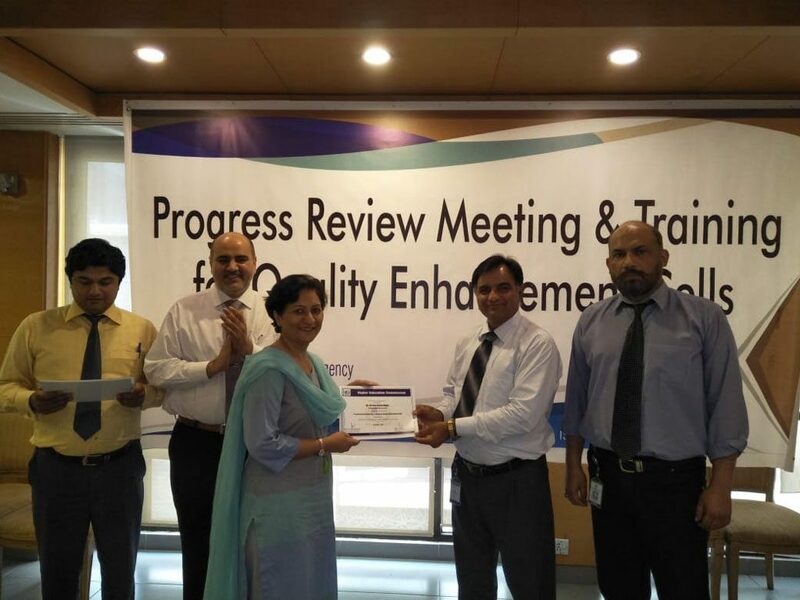 This activity was aimed to strengthen the Quality Assurance System in Pakistani Degree awarding institutions through Internal Quality Assurance Mechanism and External Quality Assurance Mechanism. 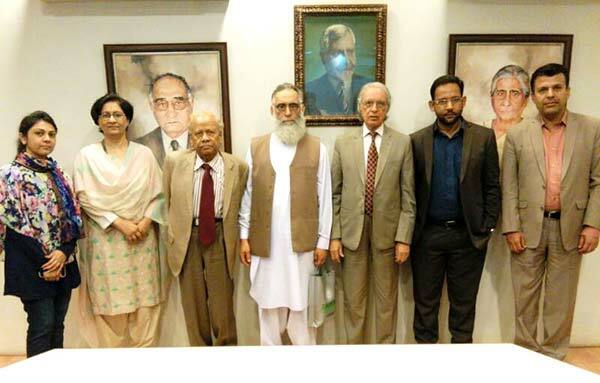 Dr Arshia Samin Naqvi, Director QEC represented Ziauddin University in the meeting. First day of the meeting comprised of presentations of each university’s internal quality assurance practices by the QEC heads. Presentation of Ziauddin University was rated best and applauded because all the programs of ZU are accredited by the respective accrediting bodies. Second day of the activity included training and discussion on the revised Quality Assessment criteria of QECs developed by HEC, which was shared with all Degree Awarding Institutions to bridge the gap between Internal & External Quality Assurance System. Strategic planning of each Degree Awarding Institution is of utmost importance and will carry high scores. In cases where some requirement is not available in the Act of a university, amendment to the Act is not mandatory. Approval from the Patron (Governor) is enough to fulfill the HEC requirement. Regarding faculty appointment: HEC advised to keep record of notifications for adoption of HEC/ accrediting body appointment criteria and hard copies of advertisements. For three mandatory evaluations i.e faculty and teacher evaluation by students and course evaluation by the respective faculty member, a password to the university evaluations link has to be shared with the HEC. Act/ Charter of the university must approve of the program. NOC of accrediting body should be available. Curriculum of the program should be in line with the HEC requirements. 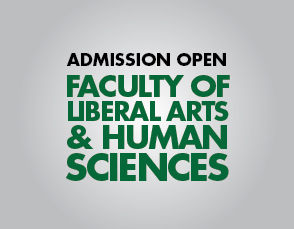 Admission requirements must fulfill HEC criteria. In case an applicant falls short of some requirement deficiency courses are appreciated. Duration of the program and semester wise breakup of workload/ credit hours should be available. PhD faculty should be registered with HEC. Maximum time allowed for MPhil and PhD is inclusive of all the extensions given to a student. This should be strictly taken care of. PhD thesis review policy i.e by two foreign experts should be strictly followed. Purpose of this is to develop linkages with foreign universities by initiating joint research projects. One published paper will be accepted. Acceptance of a paper by a research journal does not fulfill the HEC requirement. 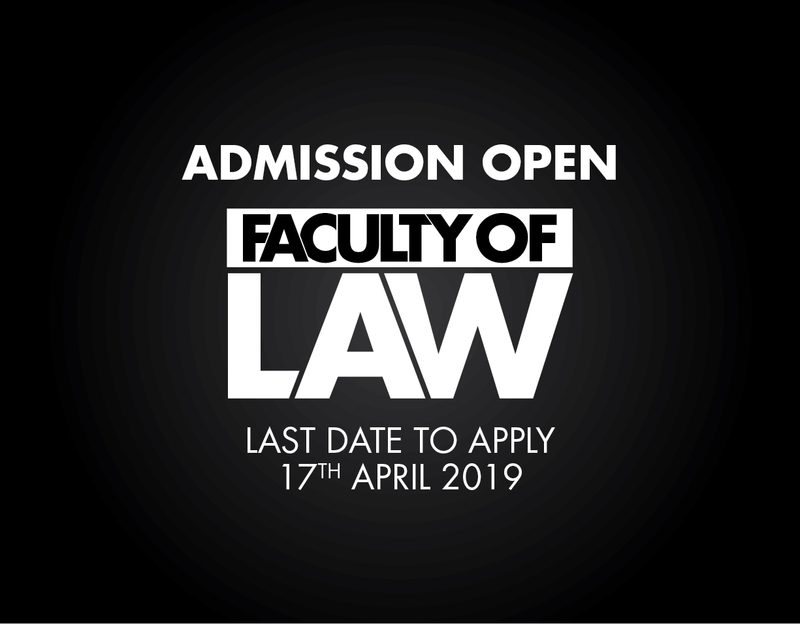 Notifications of approval of program by statutory bodies are mandatory. Policies e.g freezing of semester policy should be available in hard copy. Anti plagiarism policy as a written document should be available and notified to all the stakeholders. For admission to MPhil/ MS programs 50% score in GAT and for PhD 70% score in National and 60% in international GRE is mandatory. Comprehensive exam after completion of 18 credit hour course work, is mandatory and passing in both Oral and written exam is required. Only 2 attempts are allowed in comprehensive exam. Emails may be used to send the thesis for review but personal email addresses shouldn’t be used. All correspondence should be done on official email addresses. Different nomenclatures shouldn’t be used in the same class of MS/MPhil (with or without thesis.) In case of MS without thesis, the student has to do a 6 credit hour research work to be able to apply for PhD. Each university must work on standardized course codes for their PG programs. HEC advised to highlight the research area of its PhD supervisors in the prospectus or on the website. Also mention the number of vacant seats with each supervisor. This will attract students having interest in the given area. Thesis writing workshops should be conducted at proposal writing stage. HEC also advises to improve facilities for PhD students e.g provide exclusive workstations in the library, PhD lounges for research students, employ peer learning/ mentoring methods. 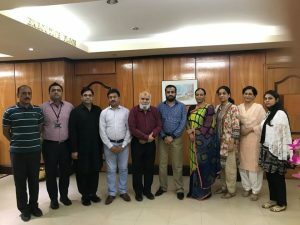 Quality Enhancement Cell organized a symposium on “Managing Quality of Assessment in HEIs” on 15th May, 2018. The purpose of this Symposium was to discuss the practices of assessment and the challenges faced by universities in process of assessment set. The Symposium also aimed at providing inputs to HEC for future to bring uniformity in processes in light of problems faced by students and universities. 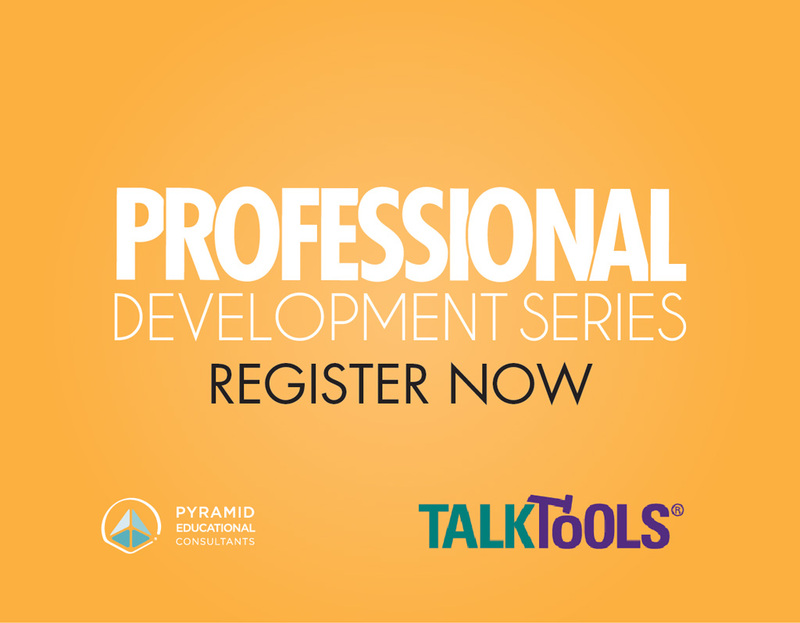 To share the best practices in the field of Assessment. To identify issues warranting further discussion based on the experiences of different universities. To provide inputs for the drafting of a recommendation for consideration by HEC. The Symposium was attended by representatives from 12 Universities i.e. 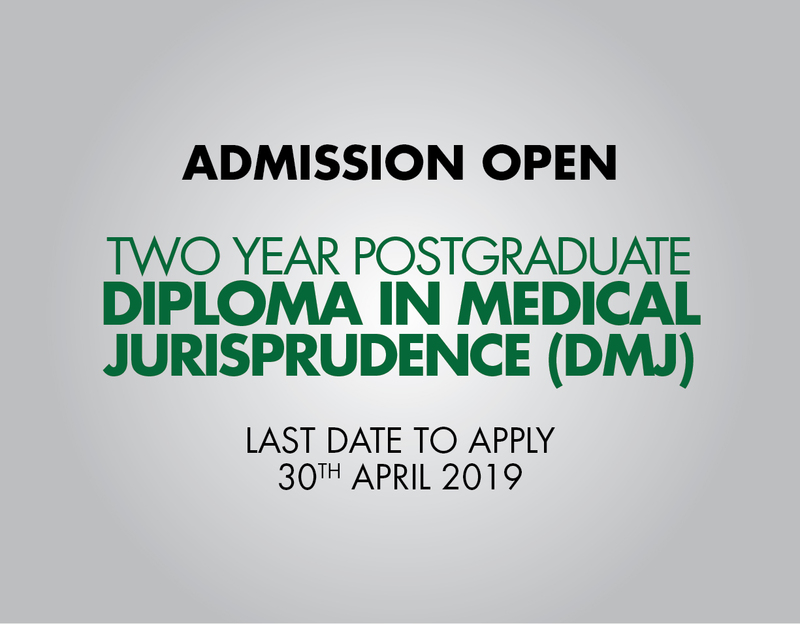 Baqai Medical University, IBA, SZABIST, IoBM, ILMA, FAST, DHA Suffa, Sindh Univeristy Jamshoro, ISRA University, DOW University of Health Sciences, Indus University, Liaquat College of Medicine & Dentistry. The symposium was linked on HEC national circuit through ZU video link. Proceedings of the Symposium started with Tilawat e Quran. Dr. Arshia Samin Naqvi, Director QEC Ziauddin University introduced the participants and upraised about the importance of the topic. Welcome address was given by Vice Chancellor Prof. Dr. Pirzada Qasim Raza Siddiqui who focused on the importance of QECs. He also highlighted some of the emerging issues including the fact that the methodologies of teaching is changing and suggested that in future these types of discussions should be conducted on the said topic. In setting the scope of deliberations for the Symposium, Mr Nadeem Zafar, Controller Examination, Ziauddin University gave presentation on Managing Quality of Assessment in ZU. He explained about the tools used in assessment, working of MCQ bank and the processes involved in assuring quality of exams e.g use of Table of Specification and post hoc analysis. Presentations on Managing Quality of Assessment in various universities. Presentations contributed by participants were followed by exchange of experiences that enriched the discussions and raised issues on: the centralized grading system, assessment of analytical thinking, Credit transfer policy, standardization of transcript, course coding and PhD thesis review by external examiners. Finally it was concluded and recommended that all accrediting bodies need to collaborate with HEC and come to the same page especially regarding the grading system and semester system. Ms. Zareen Hussain Deputy Director QEC gave the vote of thanks and mentioned that QEC of Ziauddin University is honored by the presence of QECs of so many HEIs and thanked Prof. Dr Qasim Raza Siddiqui for supporting and guiding QEC in all its endeavors. 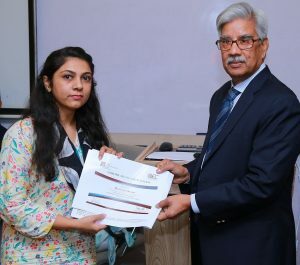 At the end of the symposium certificates were presented to the participants by the Vice Chancellor of Ziauddin University. Institutional Performance Evaluation (IPE) is of vital importance for all the DAIs that desire to meet the international standards. 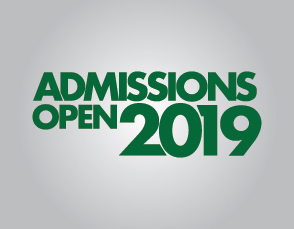 Higher Education Commission of Pakistan has developed eleven Institutional Performance Evaluation (IPE) Standards for a complete assessment of Degree Awarding Institutions (DAIs). To meet the medium term framework development targets for 2016-2020, all the DAIs are required to be evaluated against these standards. The primary requirement for the evaluation of an institution is submission of University Portfolio Report which is to be prepared as per the IPE Manual provided by the HEC and submitted to HEC prior to the visit. 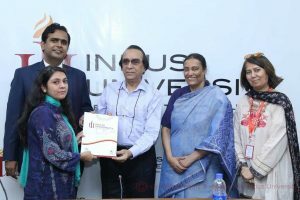 In order to get the mandatory IPE done, a very comprehensive Portfolio Report of Ziauddin University was prepared and submitted to HEC. The Institutional Performance Evaluation (IPE) visit was then scheduled by HEC from 11th to 13th April 2017and carried out by a three member inspection team. The first day of the visit started with a meeting with of the team with the VC. The VC welcomed the members and gave a brief introduction of the university. The team members spent the rest of the day in checking all the documents placed on the tables as evidences for each standard. Second day of the visit comprised of meeting of the inspection team members with the Registrar, Controller Examination, Deans/ Heads of the constituent colleges, select number of associate professors, assistant professors and lecturers. The team members also had a meeting with senior students from different academic Programmes of the university. The team members visited different facilities of the university on the third day and ended their evaluation with an exit meeting with the VC. The HEC team members highly appreciated the academic Programmes of ZU and stated that they were surprised with the level of satisfaction and motivation of faculty and students. To complete the evaluation process a comprehensive evaluation report will be prepared by the HEC inspectors and shared with ZU in near future. 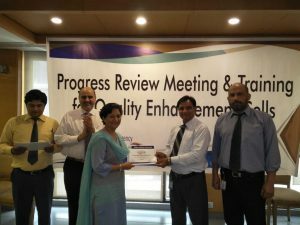 HEC “Progress Review Meeting of QEC’s” and training on IPE visit and M.Phil/PhD program review visit was organized by Quality Assurance Agency (QAA), HEC at Margalla Hotel, Islamabad. The participants included Directors, Deputy Director, Assistant Director and Head of QEC’s from different universities of Pakistan. Ms Zareen Hussain, Deputy Director QEC represented Ziauddin University in the meeting. The meeting started at 9:30 a.m. with the recitation of Holy Quran and welcome statement by the Director General of QAA Prof. Dr Rafique Baloch. He discussed the purpose and importance of progress review meeting and training and how it can help QECs to meet QA standards and criteria. Current standing of QEC in the institution that includes full time Permanent Staff, membership of Statutory Bodies and available resources. Analysis of last year’s performance as per scorecard of 2015-16 that included identification of weak areas. Steps taken for addressing those weak areas (implementation status and action plan). The hindrances in achieving the targets. SAR will be revised and there would be Peer Review instead of SA team. The meeting ended at 5:30 pm. Day 2 began with the recitation of Holy Quran. Mr. Muhammad Shoaib, Project Director Quality Assurance Agency, conducted the training session on pre visit preparation for IPE. He discussed about University Portfolio (UPR) and all the eleven standards mentioned in IPE manual and required evidence against each question or standards. He described the approvals, policies, approval of policies and minutes of meetings are required as evidence. Also, notifications of certain things and its policy of distribution are also required. For better outcome QECs were suggested by QAA to perform IPE by itself before external IPE visit. For each program these Proforma will be filled separately and certain documents would be required as evidence which included complete student files, PhD and non PhD faculty files. QAA will send email to QECs to MS/M.Phil and PhD reviews and share Proforma (Program Proforma, student Proforma and faculty Proforma) to fill and send back to QAA before deadline. First draft will be shared with universities for review. If university found any refinement then send it back to QAA with valid proof within 1 week. One PhD faculty cannot supervise more than five PhD students. In the closing session, the DG QAA emphasized to arrange Mock IPE and MS/M.Phil and PhD visit before actual visit. The session ended with the distribution of certificates among participants by the DG QAA. Ziauddin University has always strived to ensure the best standards of education, training, and research in its academic Programmes. Quality in education is a concern that requires the involvement of all the stakeholders. Student body being one of the important stakeholders needs to be informed of the Quality Assurance procedures being implied in the various Programmes of the university. 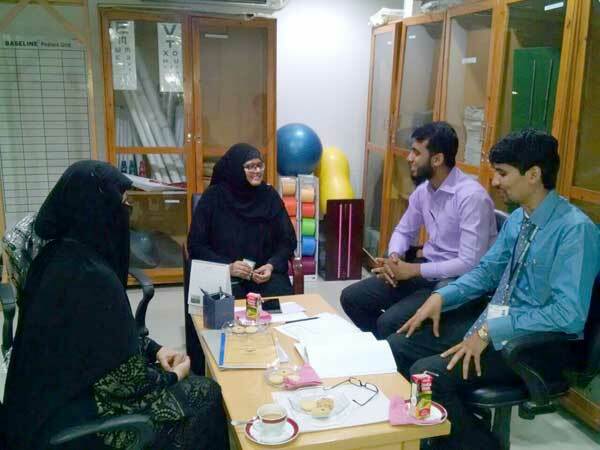 Dr. Arshia Samin, Director QEC conducted the sessions in which she gave the concept of quality and introduced the working of Quality Enhancement Cell at Ziauddin University. She motivated the students to take responsibility for their own learning by participating positively in all the quality assurance activities and described the various proformas that the students are expected to complete and are used as tools for program evaluation. 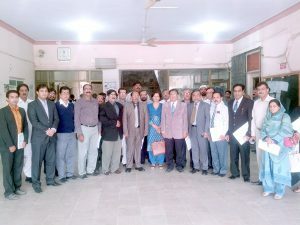 Visit Of QEC Director To SMBB Medical University, Larkana. Dr. Arshia Samin, Director QEC Ziauddin University, in response to an invitation from the Registrar of Shaheed Mohtarma Benazir Bhutto Medical University Larkana, conducted a one -day workshop on “Quality Assurance” on 8th Dec 2014, at their campus. The workshop was attended by a large number of senior faculty of the host university. The participants discussed the importance of quality assurance procedures in Higher Educational Institutions and they were facilitated to prepare a list of the various factors that determine the quality of a study program. The importance of the role of Quality Enhancement Cells in improving the quality of teaching/ learning Programmes was also discussed. At the end, Dr. Arshia was presented with a momento of SMBB Medical University by Prof. Dr. Sikandar Ali Mughal, Registrar of the university and a gift of the traditional Sindhi shawl by the Principal of Chandka Medical College. It’s always a general perception among the student community that their grievances are not given a heed. They think that their problems are not taken seriously and not conveyed to the higher authorities. In order to make the students actively participate in improving the quality of their educational program, QEC of Ziauddin University has installed a Complaint box on the outer wall of the QEC office. Students are free to put their complaints in the box. Weekly, the complaints are collected, reports are prepared and forwarded to the concerned department heads/ deans for further action. It has been a very useful initiative and students are finding it very helpful in conveying their problems. Following the tradition, this academic year i.e 2015 to 2016 started with the introduction of Quality Enhancement Cell and its activities to the new batches of students. The Director and Deputy Director QEC conducted awareness sessions for the students of various Programmes and informed them of the role that they can play in improving the quality of their learning Programmes. 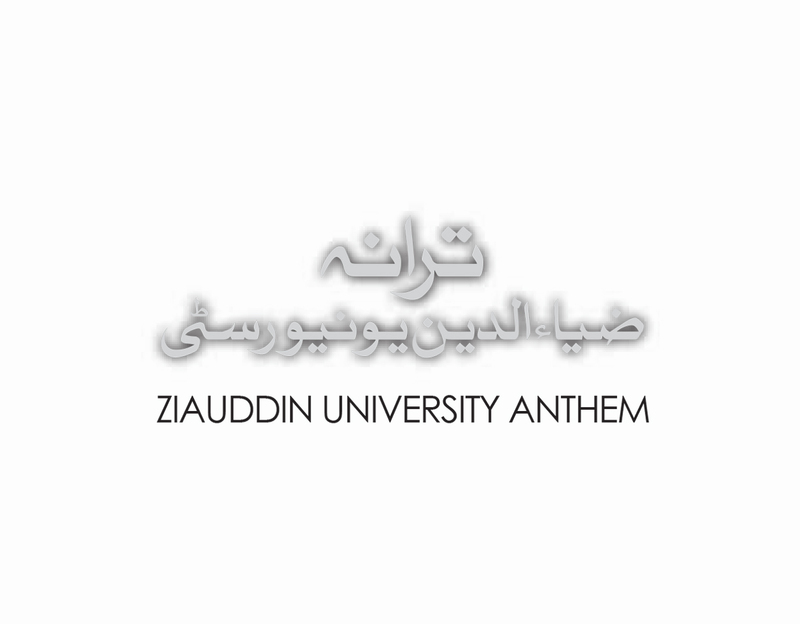 Ziauddin University has a commitment and associated procedures for the assurance of the quality and standards of its academic Programmes. Quality Enhancement Cell (QEC) of ZU has endeavored to develop a culture which recognizes the importance of quality in the entire educational environment. To achieve this, QEC follows the standards and guidelines for internal quality assurance provided by Quality Assurance Agency of HEC. Implementing a strategy for the continuous enhancement of quality, self assessment reports are prepared by the program teams of the various departments. 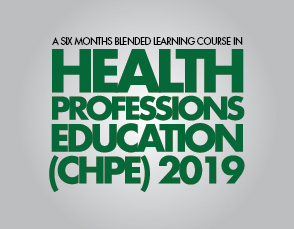 Since July 2015 QEC has successfully completed the SARs with the help of program teams of more than 20 Programmes including all the BS Programmes of Medical Technology, ADPT, PPDPT, MSN, BSN and a number of MS and MD Programmes. 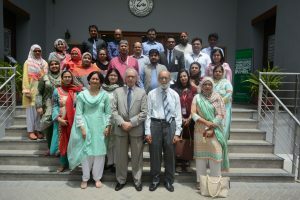 Subject experts from other institutions of Karachi were invited as external assessors for reviewing the SARs and their critique and valuable input has been converted into action plans to be followed up in future. Meetings with individual program teams for the Self Assessment report started in late December and continued till May 2017. 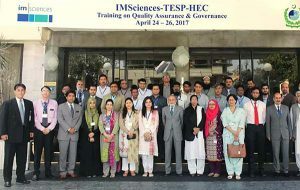 Report Of Training On “QUALITY ASSURANCE & GOVERNANCE” Funded By The Tertiary Education Support Program (TESP) Of HEC. A training program on “Quality Assurance & Governance” was organized by the Institute of Management Sciences, Peshawar and funded by Tertiary Education Support Program. It was held from April 24 to April 26, 2017 at Hotel Mehran, Karachi. Director QEC Dr Arshia was invited for the training session. Participants of the training included representatives from both public and private sector DAIs and were mostly from the administrative or examination departments or from QECs. Dr Azam Ali Khwaja was the resource person for the first day. He discussed about the changes in higher education administration that occurred in the wake of implementation of 18th Amendment in the country. Second day session was facilitated by Dr Farmanullah. He discussed the quality assurance mechanisms that are provided by the QAA of HEC. He explained all the criteria of Self Assessment Reports and Institutional Performance Evaluation. IT Training Stream for Quality assurance and Governance was the topic for the third day and was facilitated by Mr Imran Batada. He educated the participants regarding IT systems in Higher Education sector and gave a good overview of CMS, LMS and other IT systems. He also talked about Cloud computing and importance of Business Intelligence systems. This three day program was a very informative and useful one. The best thing about the training program was facilitation by the experienced resource persons who very aptly provided glimpses of their personal experiences with different DAIs of Pakistan and abroad and kept the participants involved and active till late evening, each day. Quality Assurance Agency of HEC assesses the progress of the Quality Enhancement Cells established in the public/ private sector universities through quantitative scorecard system. 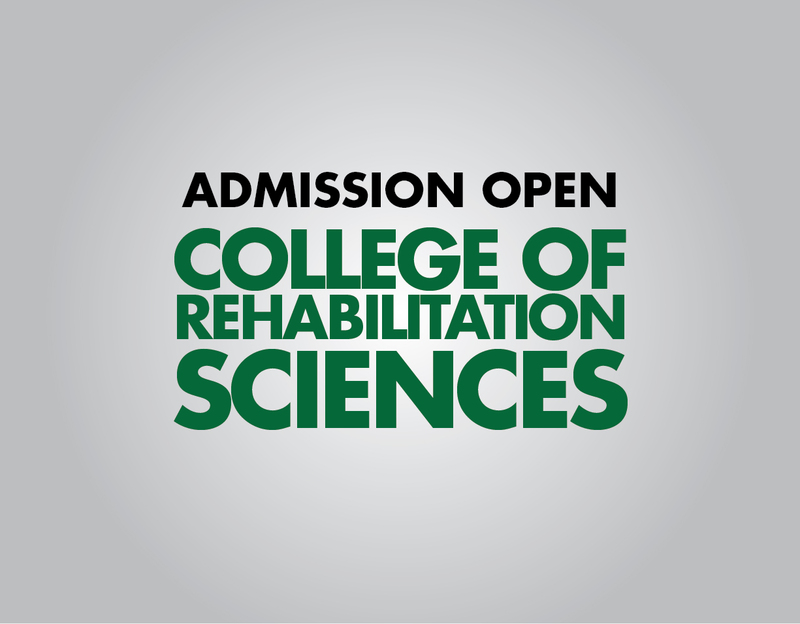 QEC of Ziauddin University is proud to announce that as per the latest assessment for the period July 2013 to June 2014, we have scored 85% and are placed in the “W” category. This is the third time in a row that we have been placed in the highest category and performance of QEC team has been highly appreciated by the Director General Quality Assurance Agency.